Leia Gaccione is the chef and owner of south+pine american eater and CENTRAL+MAIN AMERICAN EATERY. She grew up in Passaic, New Jersey, with her brother and mother. As a child, while her friends were playing outside, she stayed behind to watch cooking shows like “The Frugal Gourmet” and “Julia Child”. Because her mother worked two jobs to support her family, Leia began cooking at home at a young age. When Montclair State University lost her college application, Leia was in a position where she had to make a decision. She decided to attend New York Restaurant School, from 2001 to 2003, and obtained her Associates Degree in Culinary Arts and Restaurant Management. She graduated on the Dean’s List and moved on to work in many restaurants over the past fourteen years. 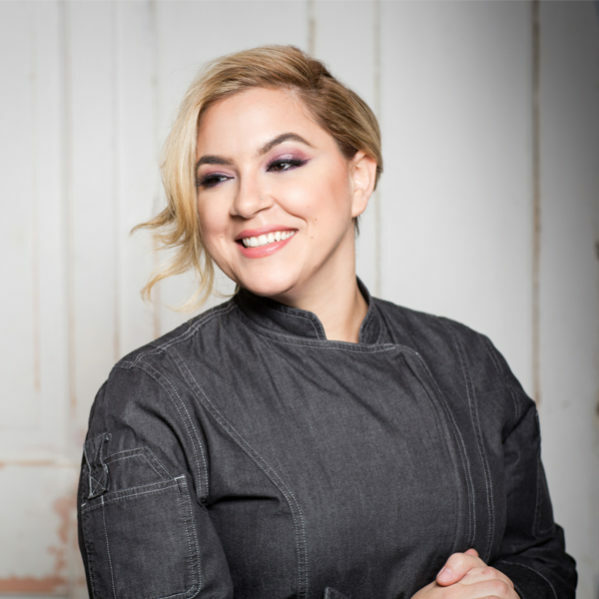 Most recently she was the Chef de Cuisine for Bobby Flay at five of his fine dining restaurants, including Mesa Grill, Bar Americain and Gato in New York, Mesa Grill in Las Vegas, and Bar Americain in Connecticut. She also appeared as his sous chef on “Iron Chef America” three times, twice on “Iron Chef Showdown”, and as a competitor on two episodes of “Beat Bobby Flay”, . Leia pursued her dreams with her own restaurants, south+pine american eatery in 2015 and CENTRAL+MAIN in 2018. Both locations are American restaurants, focusing on using seasonal ingredients to create her dishes. She aims to make south+pine and CENTRAL+MAIN neighborhood stapleS, where her guests are treated as if they are coming over her house for dinner. The environment is casual and inviting, and she hopes to give New Jersey diners a very special experience that they can enjoy over and over again.